We offer a Professional Repair Service from a simple part replacement through to the most specialised vehicle fault diagnosis and repair. 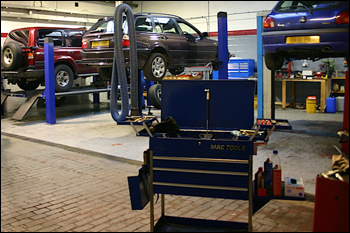 Tarvin Garage Services Ltd is an Approved BOSCH Service Center. Being part of the BOSCH Service Network, we are audited by BOSCH to ensure we continue to provide a professional and expert service. To find out more, or to book your vehicle in for Repairs Contact Us on 01829 740700.